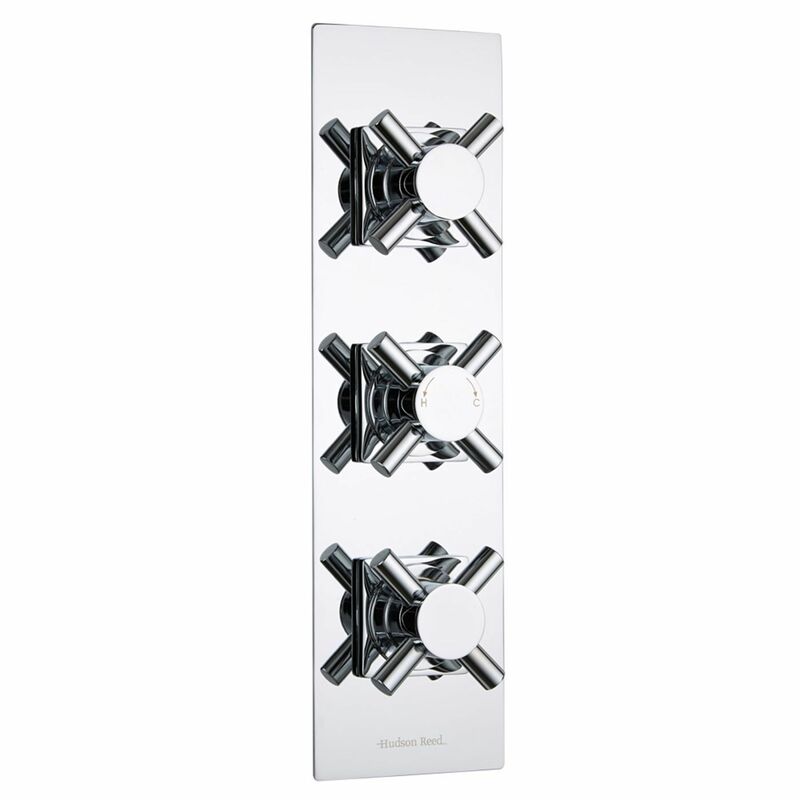 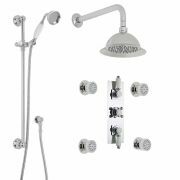 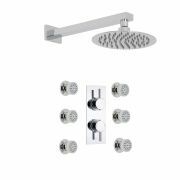 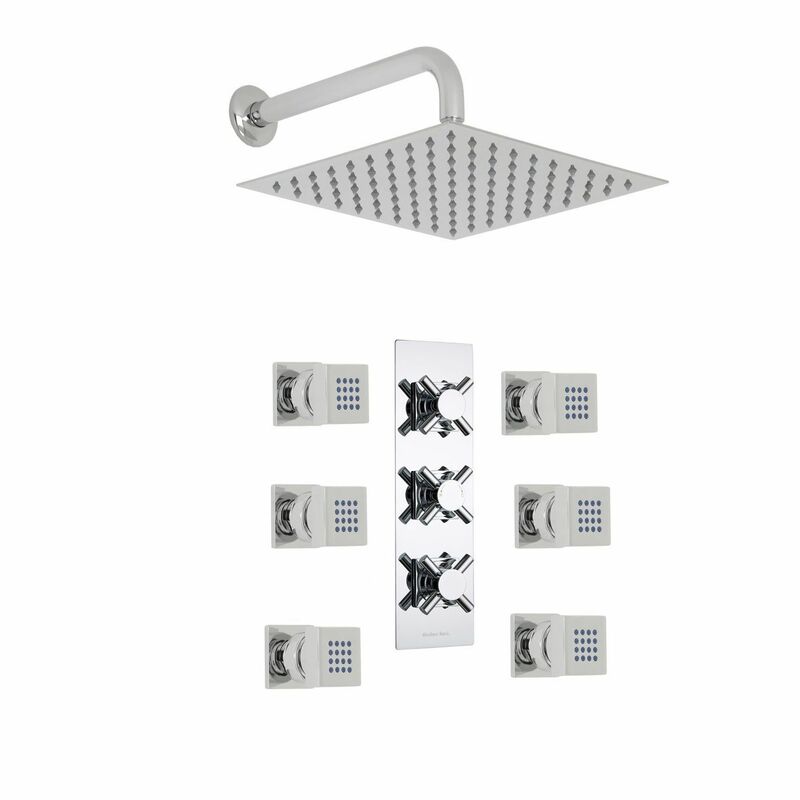 Supplied with six massaging body jets, 12" fixed shower head with arm and the triple thermostatic shower valve, the Kristal shower system from Hudson Reed is perfect for creating a spa-style feel to any bathroom. 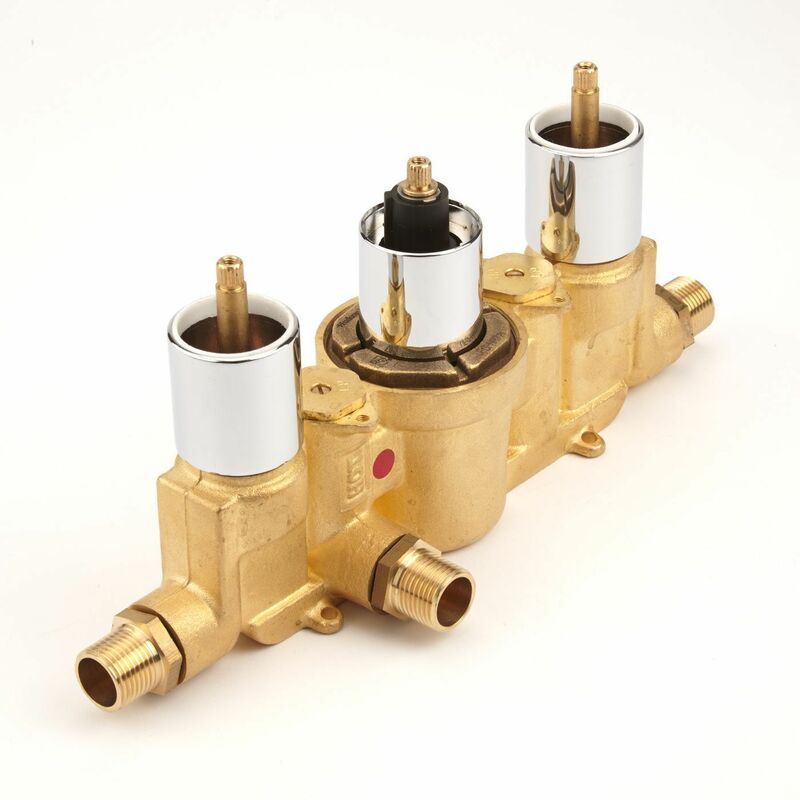 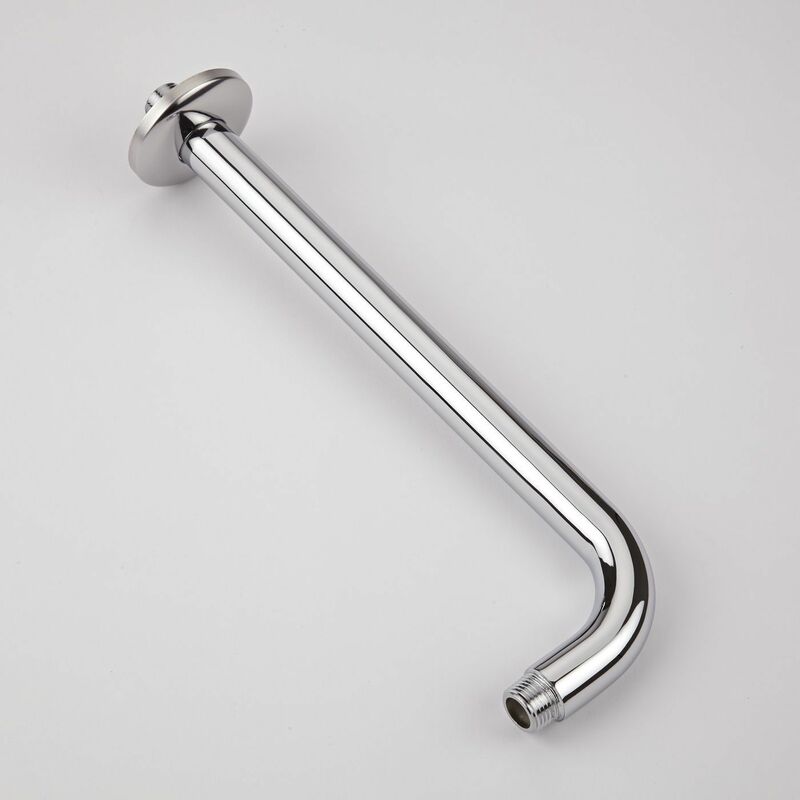 Constructed from solid brass, the British made thermostatic valve supplies water at a pre-set temperature to either the body jets or the fixed head. 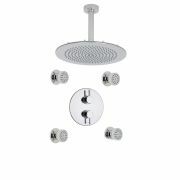 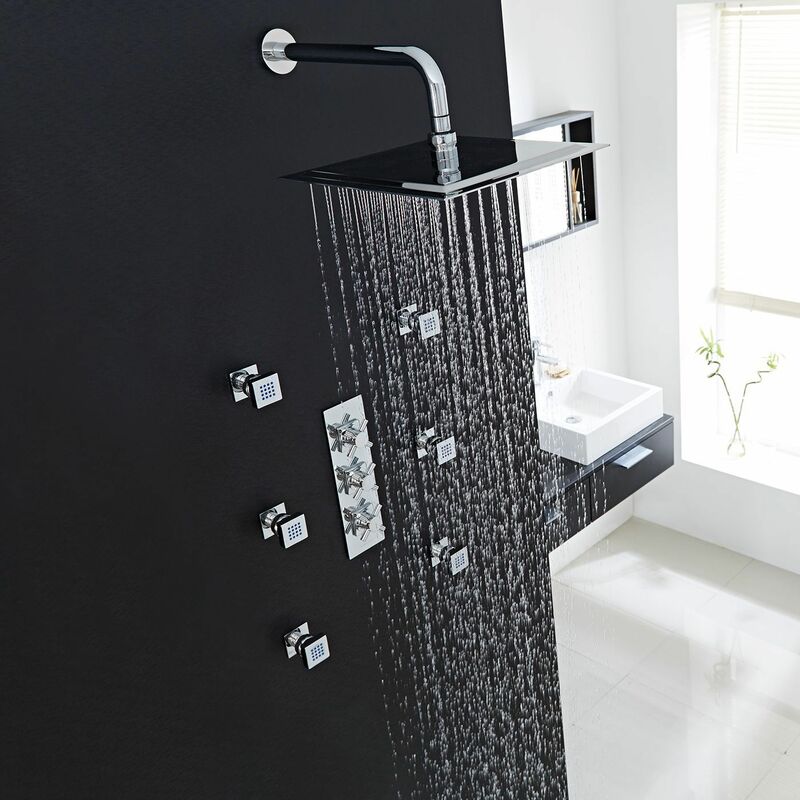 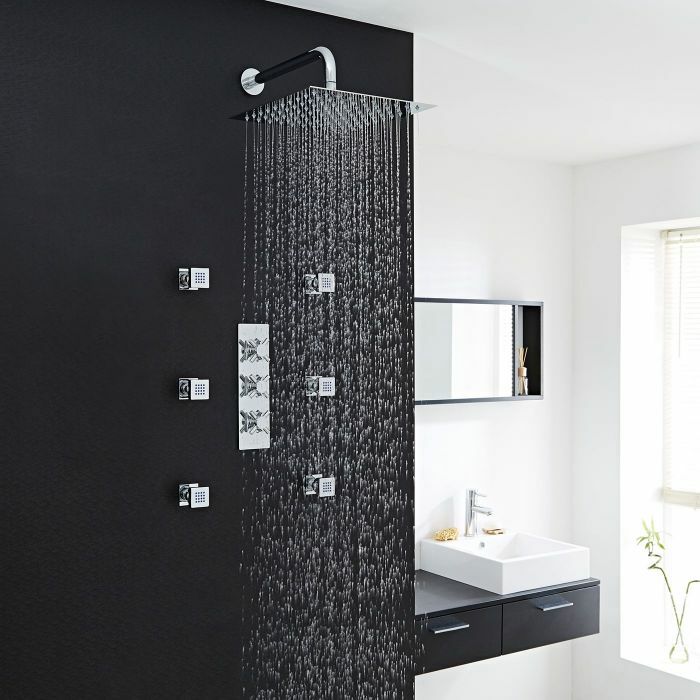 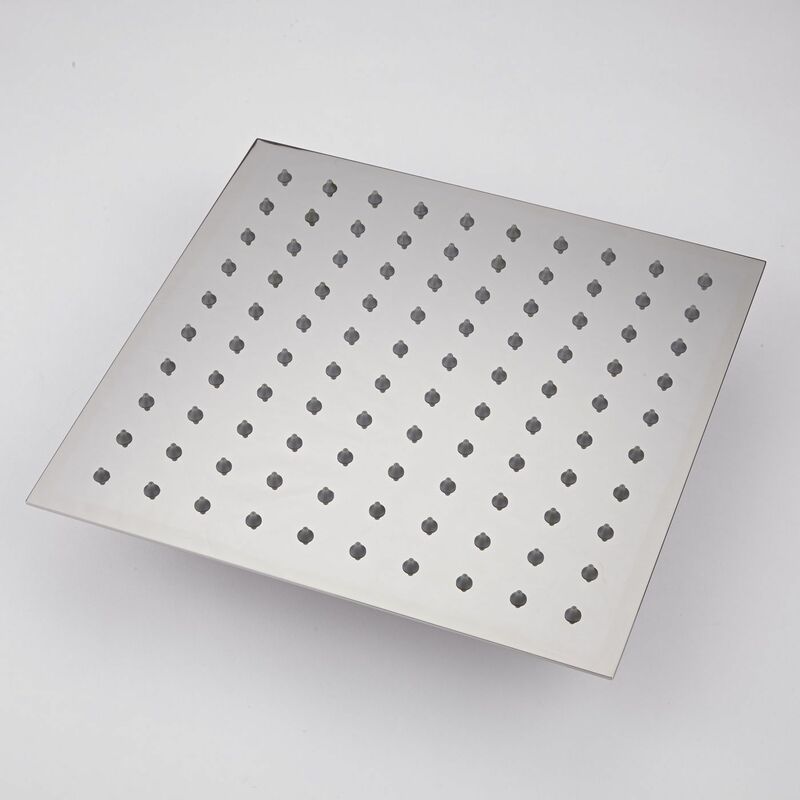 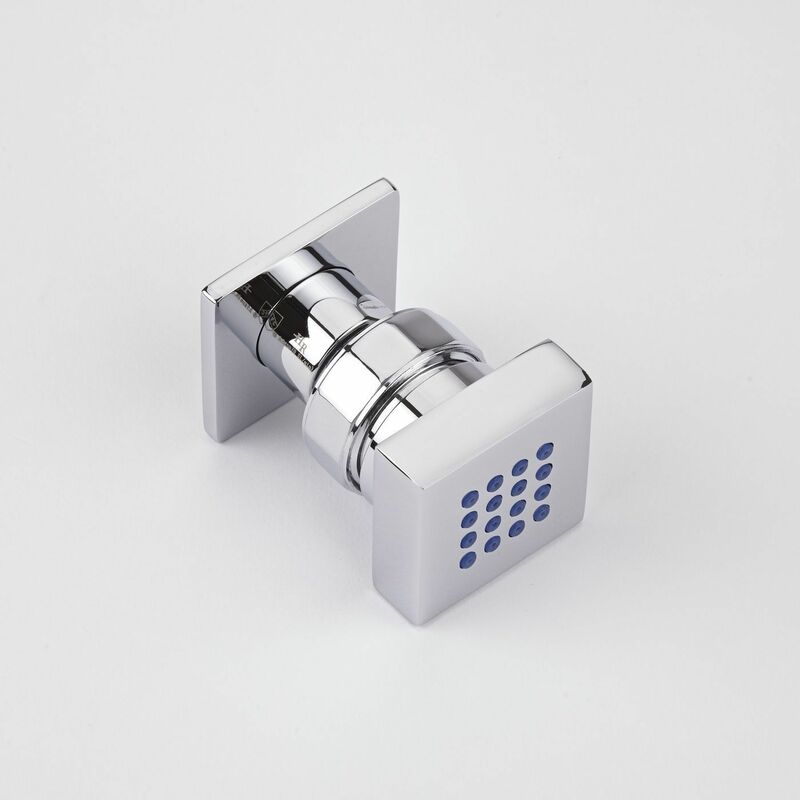 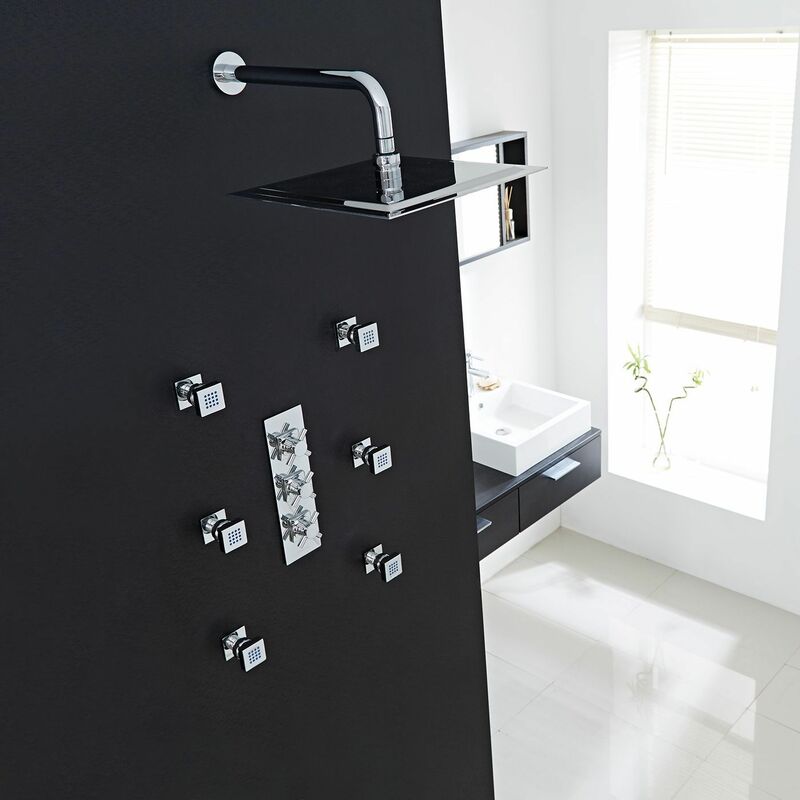 The shower valve incorporates ceramic disc technology and a built-in anti-scald device for peace of mind.